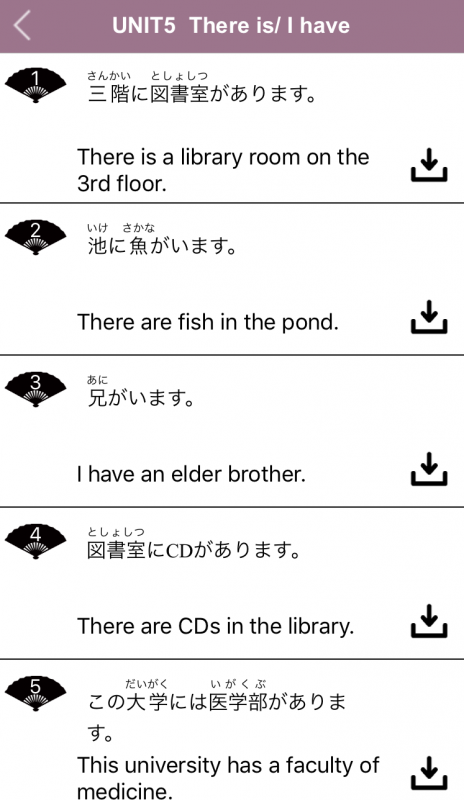 Learn beginner and intermediate Japanese grammar so you know it well. 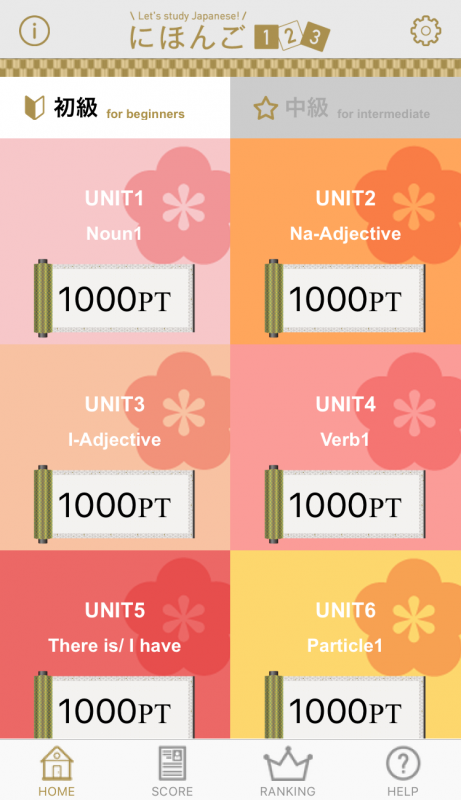 Learn 26 grammar patterns at beginner and intermediate levels in a total of 380 lessons. Use script-attached dialogue videos to learn with. 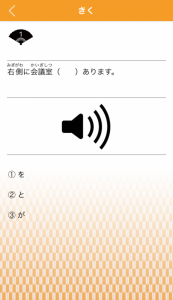 There are quiz-style listening questions at the end. 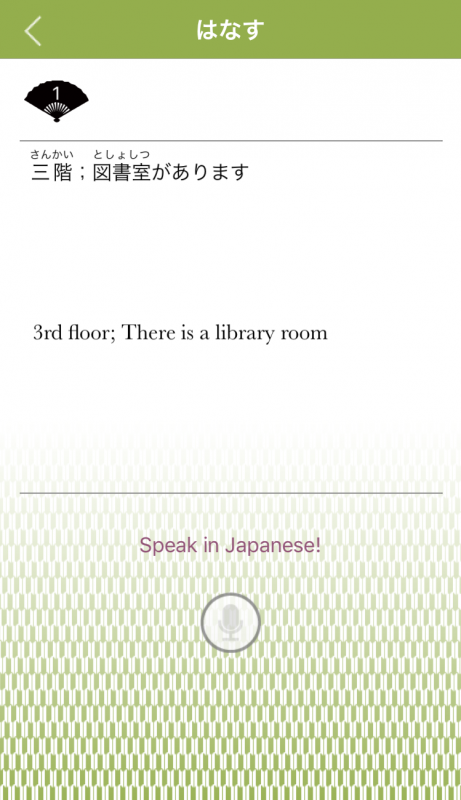 Use the voice recognition function to practice conversation. 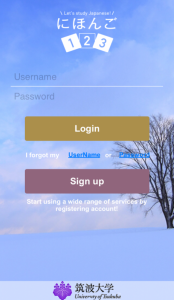 You will need to register an account. 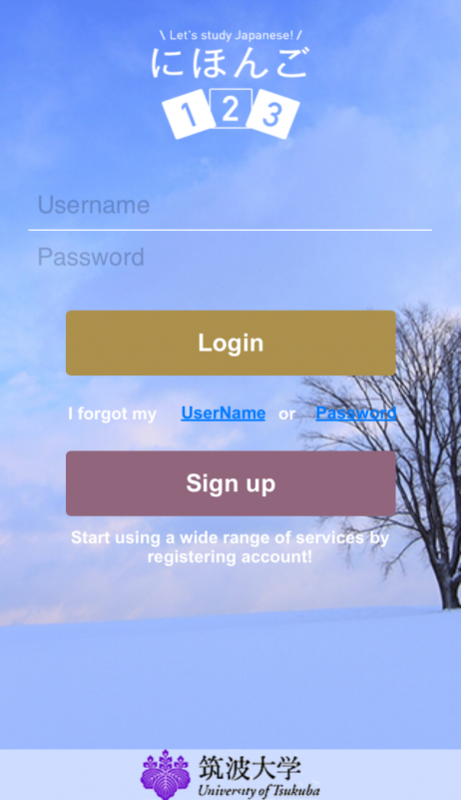 To begin, first tap the "Sign Up" button and register your ID, email address, and password. Log in and start learning. This is the "Home" page. Choose the level for Beginners or for Intermediate. 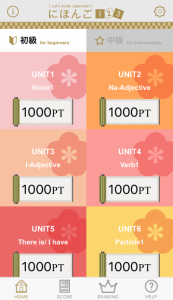 The units are divided by grammar. 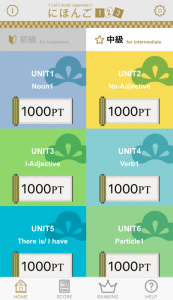 Tap the unit to view the lessons. Let's choose Unit 5 for Beginners. 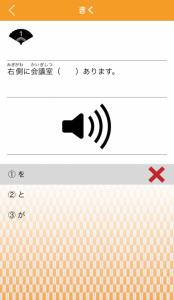 Tap the download button on the lesson selection screen for 「Flash Card」 or 「きく（Listen）」 to practice offline. 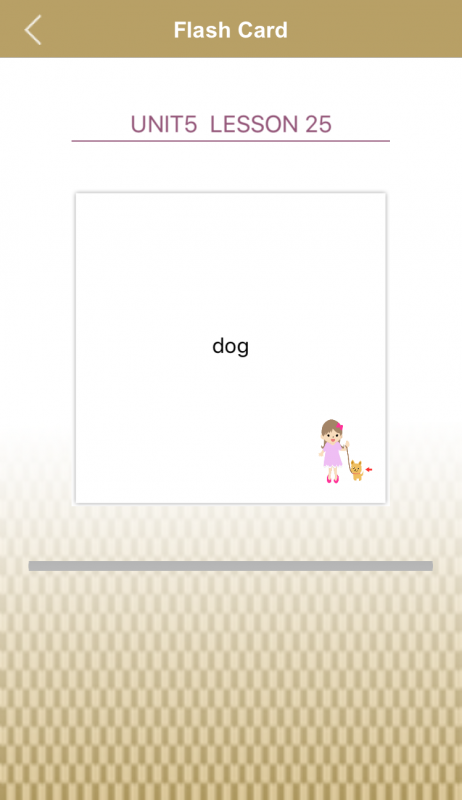 A pencil icon will be displayed for completed downloads. Let's choose lesson 1. Now we see the lesson screen. 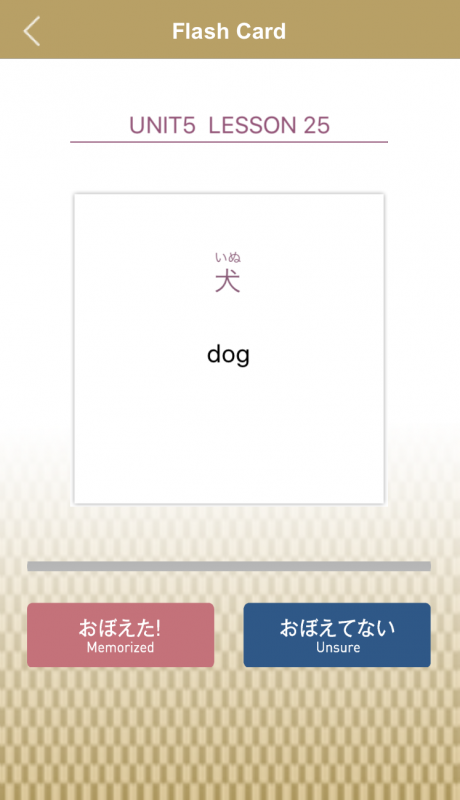 Tap "Flash Card" to listen to words over and over again. Tap the English card to see the Japanese word in kanji and hiragana, and to hear it spoken. Choose between 「おぼえた (Memorized)」 and 「おぼえてない (Unsure)」 and move on to the next word. Each time you tap「おぼえた(Memorized)」,beautiful flowers will be added to the donut graph on the Flash Card screen. 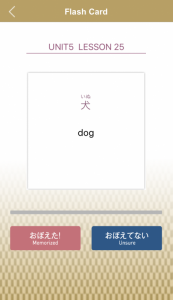 Tap "List", to see the list of vocabulary words. 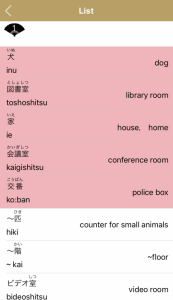 The cells with the memorized words are now pink. Let's go back to LESSON TOP and tap 「きく (Listen)」 for listening practice. 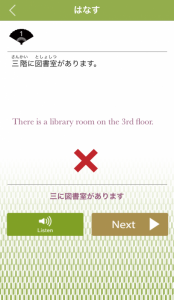 Tap the speaker icon to hear the sentence in Japanese. Choose the answer that fits the blank, 1, 2, or 3. You can immediately see if your answer was correct or not. 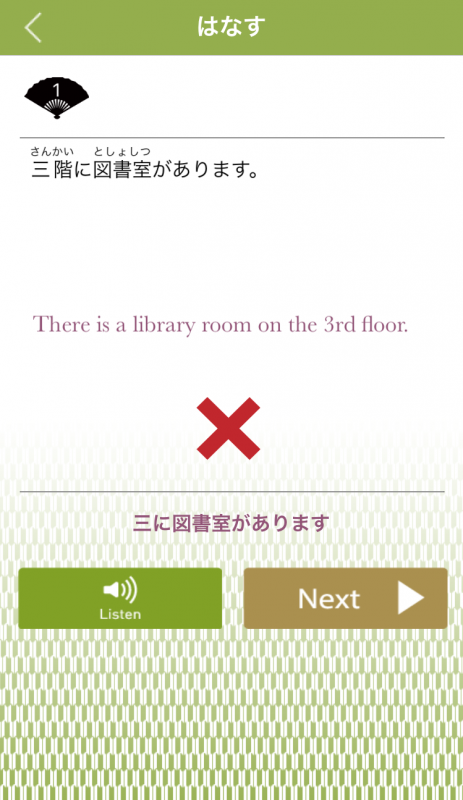 Tap「みてみよう!」to play a dialogue video. 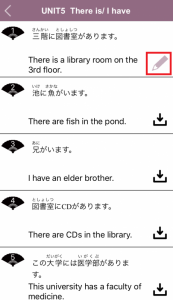 It comes with scripts in Japanese and in English to let you repeatedly study while making sure of what is being said. In the 「はなす (Speak)」 lesson, make sentences using the Japanese content provided and say them. 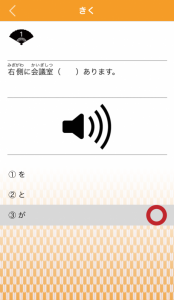 Tap the mic icon and say the sentence aloud. 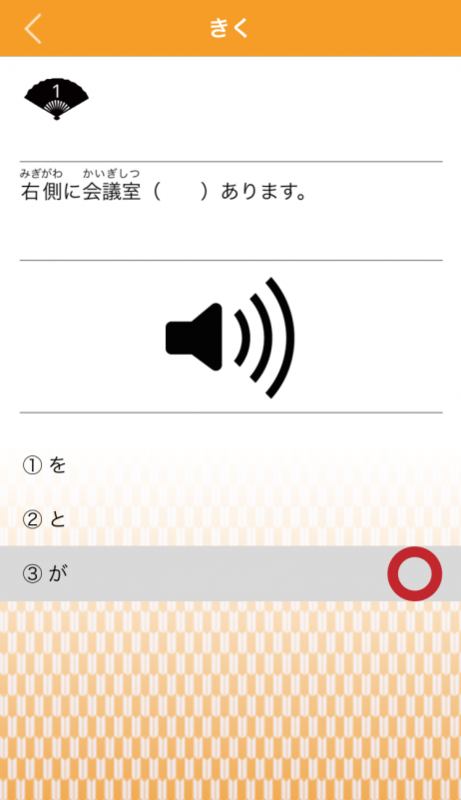 Check to see if you got it correct with the voice recognition function. Don't worry if you can't pronounce it well. 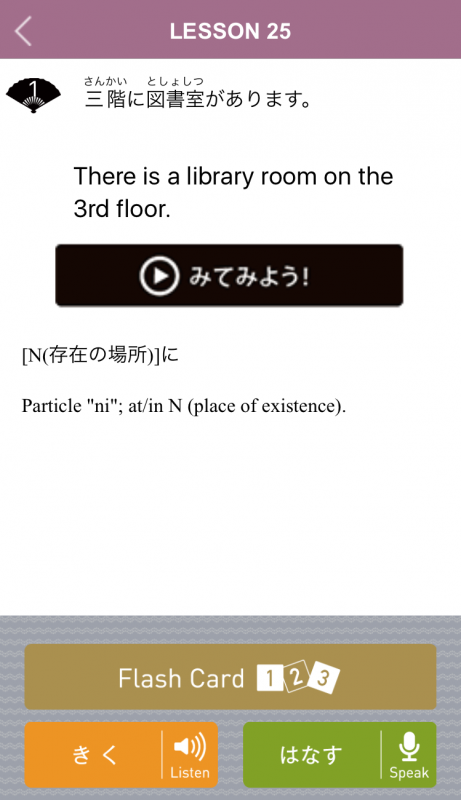 Tap the "Listen" button and listen to the correct pronunciation. Listen and practice over and over again to improve your conversation. There is a menu bar at the bottom of the level selection screen. 「HOME」…Choose the units for Beginners or for Intermediate. 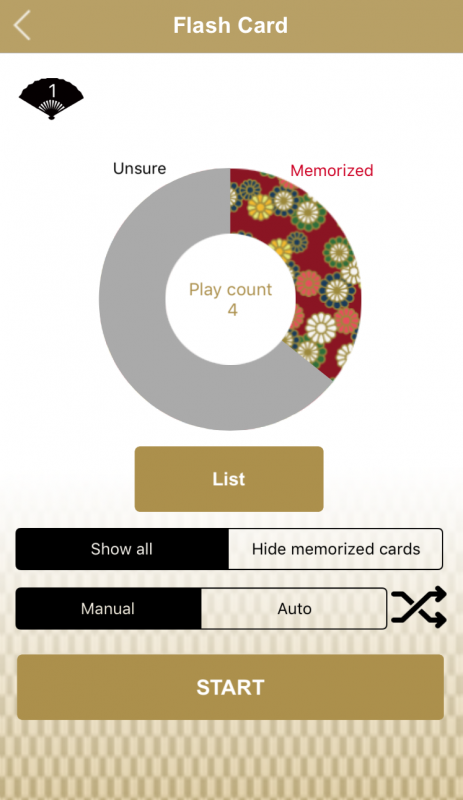 「SCORE」…Check your understanding of what you studied. 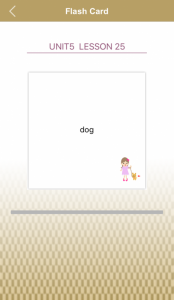 「RANKING」…See the rankings by month. 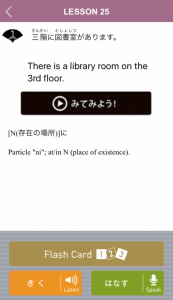 「HELP」…Find detailed explanations on how to use the app. You can use the same ID and password for the app and the site. 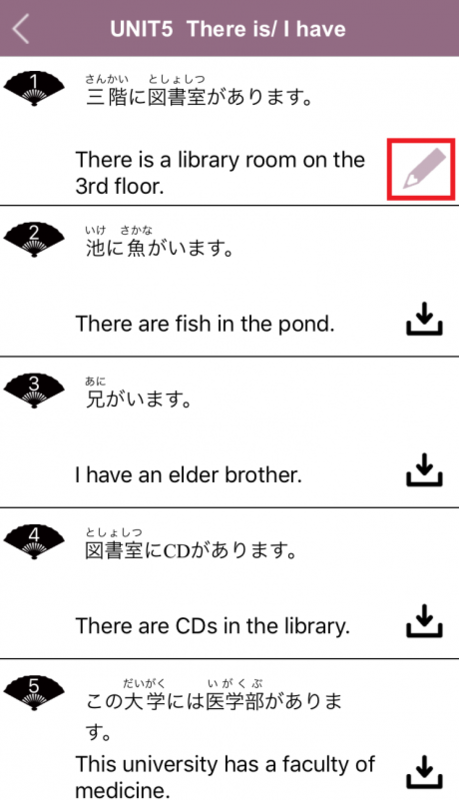 Isn't it nice to know that you can share your study progress between the two?